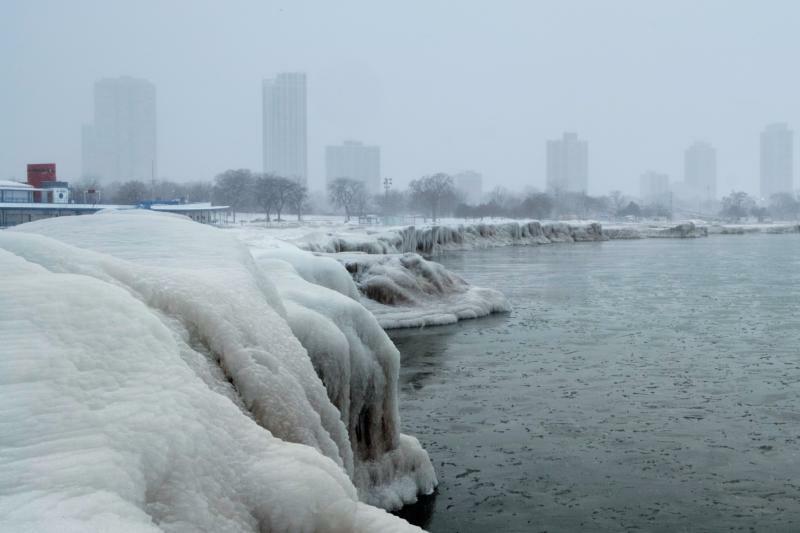 WASHINGTON (CNS) — The deep freeze that plunged much of the Upper Midwest into historic and dangerously low temperatures was a matter of life and death for many of the area’s homeless at risk of frostbite or hypothermia. “In many ways it’s a humanitarian crisis here with the severity of weather,” said Msgr. Michael Boland, CEO of Catholic Charities of the Chicago Archdiocese. The agency is doing what it does every day, but it is getting more calls now with the severe temperature drop. “It’s a really challenging time for a lot of people. … It’s life or death for people on the streets,” Msgr. Boland told Catholic News Service Jan. 31. He said the agency’s outreach vans brings people to shelters or warming centers, but not everyone wants to leave, thinking they can fight the elements so sometimes they need some convincing. “We’re all trying to do what we do and get out and help,” he added. Similarly, Chicago’s Franciscan Outreach was also doing more of what they usually do. “People are asking what they can do,” he told CNS Jan. 30, noting that the previous night a man donated 50 pizzas. “It’s all hands on deck,” he added, saying staff members are pitching in and staying overnight to help. The outreach had a good supply of coats and hats but needed more thermal underwear donations. “It’s brutal, but we will plow through it,” he added. Seniors who count on the Meals on Wheels senior food program were given extra meals to keep in the freezer and heat up on the coldest days, Hunstiger said. The program relies heavily on volunteers, but program officials didn’t want volunteers to be out in the extreme cold. Hunstiger said the agency’s staff and volunteers have been amazing during this deep freeze. “That’s one thing we do in Minnesota, when it’s tough outside, teams rally and we have people who will do the impossible to make sure that people in need get the services they need,” she said. “Without hesitation, he said, ‘Yes, let’s do it,'” Fenton said. He then checked with local fire and police departments, whose representatives agreed to keep a watch on areas where homeless people usually sleep to let them know about the temporary emergency shelter at the parish. After he arrived, he received a hot meal, a cot and a few blankets. “I’m thankful, I feel relieved I didn’t have to be out,” he said. Contributing to this story were Diane Towalski, on the staff of The Central Minnesota Catholic, magazine of the Diocese of St. Cloud, and Lindsay Steel, a reporter with The Catholic Messenger, newspaper of the Diocese of Davenport.